Coast to Coast Flowers offers the best variety of flowers ranging from retail floral, gourmet, and specialty gifts including exclusive sports gift sets and even selected Lenox items. Their top priority is to provide customers with the highest quality, best selection, ease of ordering and unconditional satisfaction guarantee with every order anytime, anywhere in the U.S. 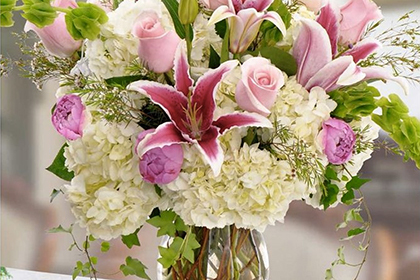 They select from its “Preferred Florists” affiliate network across the country to fulfill this promise. You can rest assured that when a customer places an order with us and aim to exceed expectations. To Learn More Click the “Coast To Coast Flowers” Logo.